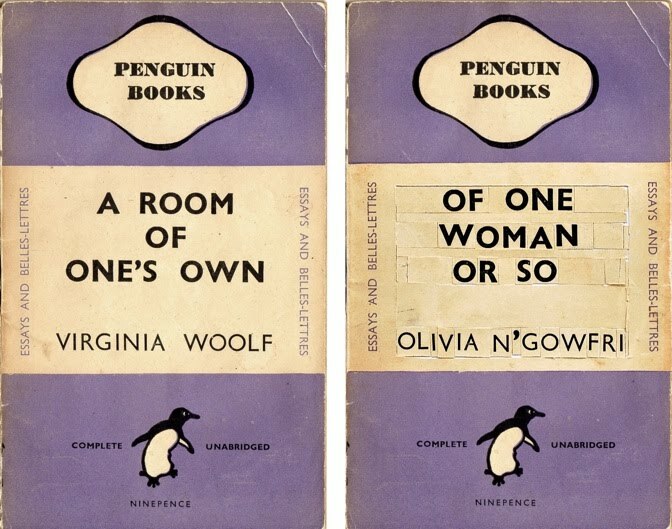 Between 2009 and 2014, multimedia artist Kabe Wilson took all 37971 words of Virginia Woolf's A Room of One's Own and rearranged them to write a novella - 'Of One Woman or So'. In 1910, as part of a prank, a 28-year old Virginia Woolf and friends dressed up (and blacked up) as Abyssinian royalty and were formally received onto HMS Dreadnought by the Royal Navy. This became known as The Dreadnought Hoax. 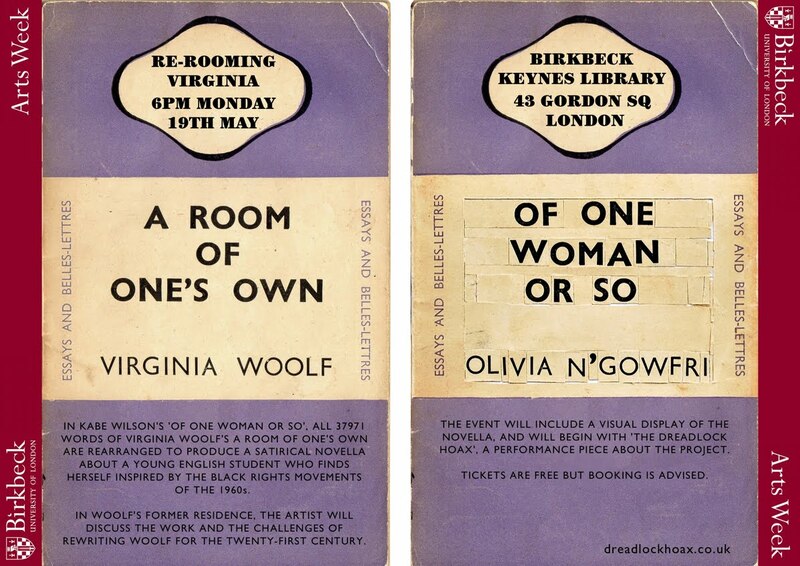 On 19th May 2014, in Woolf's former Bloomsbury home and alongside a visual representation of 'Of One Woman or So', Kabe Wilson staged The Dreadlock Hoax - a performance piece that interrogated the problems and possibilities of connecting with famous moments of literary history.